We offer different Laughter Seminars upon request nationally and internationally, according to the needs of the client. - History and Introduction to Laughter Yoga. - Benefits and Cautions of Laughter. 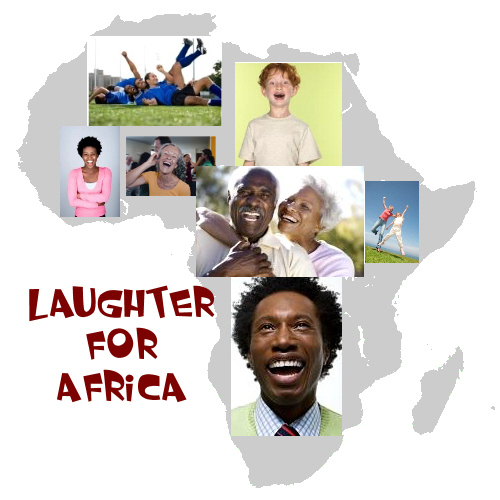 Laughter for Africa also offers a variety of Wellness Seminars e.g. Nutrition, Exercise, Breathing, the Relationship between Work & Play etc. Contact Us for more Info. Laughter Workshops are more in-depth that seminars and you will more about 'Why Laughter is the Best Medicine'. - Basic structure as the Laughter Seminar (see abave). - More Specific Scientific Evidence on the benefits of Laughter. - Laughter as a Tool for Optimum Wellness. - Laughter in the Workplace. - The effects of Laughter on our Social Environment. - Laughter is the best medicine. We have extensive knowledge and background in corporate wellness, wellness coaching, yoga and wellness education - which make our Laughter Yoga Training different, special and unique. 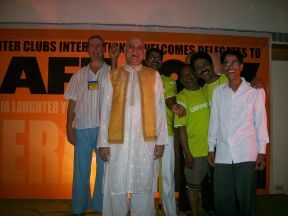 Our training is according to the original Laughter Training of Dr Kataria, the originator of Laughter Yoga. Developed by Laughter for Africa and proudly South African!